Today I have the pleasure of being part of the Shadow Scale blog tour! 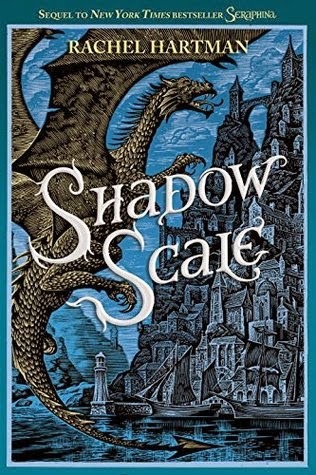 Here is some information on Shadow Scale by Rachel Hartman in case you aren't already familiar with this epic sequel to Seraphina. If you are looking for more information on the first book Seraphina check out my review! So to celebrate the release of Shadow Scale I have been given the chance to give away a copy of Shadow Scale thanks to Random House. And don't forget to come back later today to see what I thought! Synopsis: In this breathtaking debut that reads like Gossip Girl crossed with Twin Peaks, a Queen Bee at a blue-blooded New England prep school stumbles into a murder mystery. Anne Dowling practically runs her exclusive academy on New York’s Upper East Side—that is, until she accidentally burns part of it down and gets sent to a prestigious boarding school outside of Boston. Determined to make it back to New York, Anne couldn't care less about making friends at the preppy Wheatley School. That is, until her roommate Isabella’s body is found in the woods behind the school. I have always loved mystery books. When I was younger I devoured the Nancy Drew and Trixie Belden books. 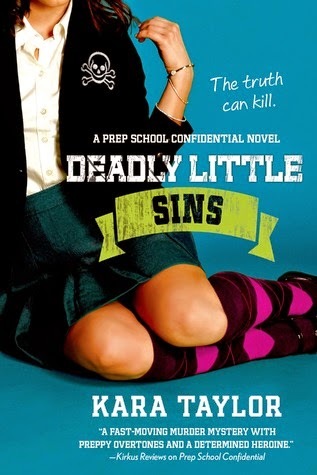 So one day when I was in the bookstore and saw Prep School Confidential and read the back I knew that I had to check it out. I read it in almost one sitting and could not wait for the next book. The synopsis describes it as gossip girl meets twin peaks. And while I have never seen Twin Peaks I can see where they are coming from. I see it as Gossip Girl meets Veronica Mars. Veronica Mars if Veronica was an '09er. Anne is a spoiled, entitled high school student until something goes wrong and she is forced to go to a small elite boarding school in Massachusetts. Next thing she knows her roommate is found dead behind the school. That would be enough to send most people running for the hills but Anne is determined to find out who did it. Each book has a new mystery that is tied into the past book. Each mystery gets mostly resolved by the end of the book, but more questions come up and there is a new focus in each book. I appreciated this because it meant that the book had closure but I was still waiting for the next one. I was really happy with the ending of Deadly Little Sins. It left open the possibility for more books or a spin-off, but had enough closure that wouldn't be mad if there weren't any more. 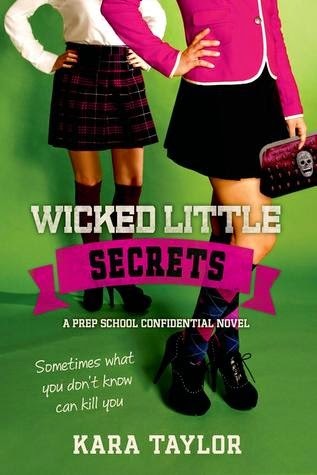 If you like mysteries, drama, boarding school books, class struggles, and sneaking around then this series is for you!